We are currently providing engineering support for the LCMR radar program. We have performed various data analysis tasks in order to improve the performance of the radar. Analyses have included examination of detection thresholds, sensitivity controls, discrimination performance, as well as antenna and system calibration. An assortment of useful custom analysis tools have been created for this activity. On the G/ATOR program, we developed a complete test driver application that simulates all of the interfaces employed by the radar system. The application, developed in C# and C++, consisted of a controller and a set of driver clients that could be distributed across a network on a number of separate computers. The drivers simulated simple discrete, analog, and serial devices, motor controllers, and several complex air traffic control systems. On the Air Fusion program, we providing data analysis support involving extensive development of MATLAB tools to process and analyze radar data. On the ADS-B East Coast Broadcast program, we developed a radar data conversion application (using MATLAB) to convert simulated radar data from one format to another along with inducing real-world radar effects on the data. On the ASDE-3X program, we developed MATLAB data analysis tools to assist in system requirements validation. On the SINDRE program, Summit Solutions ported embedded Multi-scan Correlator software from the pSOS operating system to MQX. We also provided requirements analysis and flow-down to test requirements, performed test planning, and provided integration and test support. We have provided engineering support on various aspects of the PSTAR radar program. Summit Solutions led the design, integration, and test effort for the PSTAR radar modifications for Switzerland. This included writing the necessary DSP software, testing it in the lab, and testing the entire system in the lab and in the field. Summit Solutions wrote and tested the software modifications for the PSTAR Control Indicator Unit for Switzerland. This involved modifying existing C software to meet new user requirements. The entire task was performed by Summit Solutions. Summit Solutions helped with data collection and testing of the AN/TPS-59(V)3 radar in order to reduce false alarms. Summit Solutions assisted researchers at the UAV Applications Center (a collaborative effort between NASA Ames Research Center and Clark University) during UAV surveillance missions over vineyards in California. 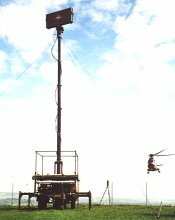 A PSTAR radar system was used to monitor general aviation in the area of the test. Summit Solutions provided technical assistance to allow monitoring and fusion of local air traffic positions with that of the UAV being flown. Summit Solutions created a software application to calculate fees to be charged to customer accounts. The software consisted of a custom C application which read data from their existing files and performed the necessary calculations. The solution was elegant in its simplicity and removed a tedious bottleneck from their process. In the early days of computers, we created a complete database application which automated all of the cable company's accounting activity. The database program, written using dBase-III, kept track of customer account information, billing, and inventory, converting the file card system which had previously been used to a computerized system. We then supervised the conversion of the 3000 subscribers as they were switched over to the new system.